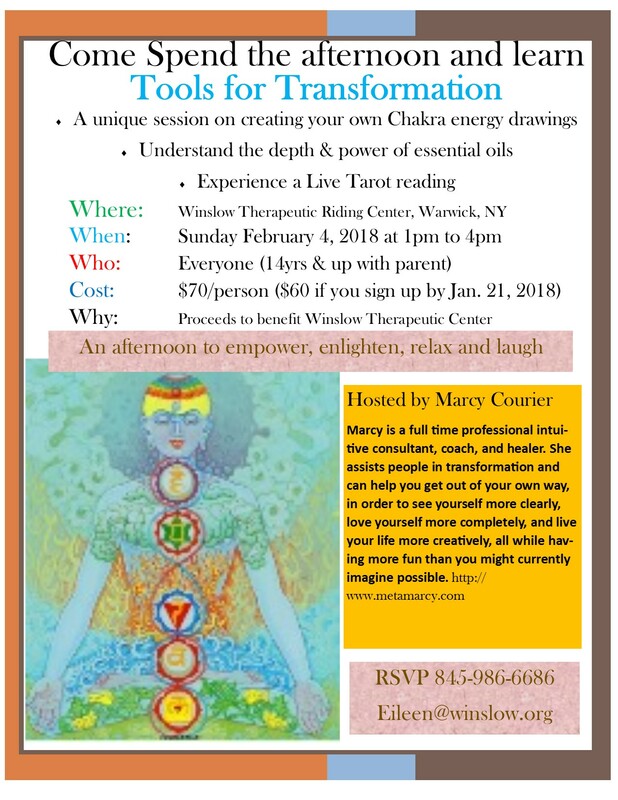 Come spend the afternoon and learn the Tools for Transformation, hosted by Marcy Courier. This unique session focuses on creating your own Chakra energy drawings, understanding the depth & power of essential oils, and a live tarot card reading. 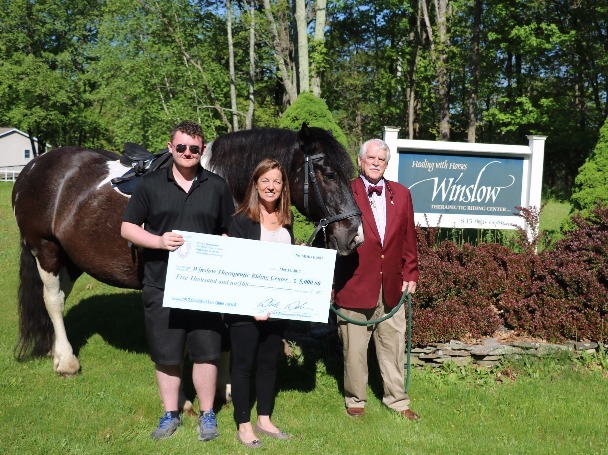 Vince Mezzetti, founder and CEO of Myles Wealth Management in the Village of Florida and a 37-year member of the Million Dollar Round Table, presented a $5, 000 Quality of Life Grant from that organization to Winslow Therapeutic Riding Center. 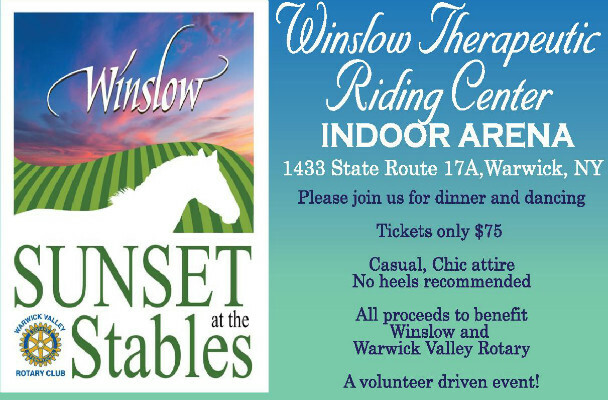 Come on out for a fun evening of dinner and dancing for the entire community on Saturday , June 3rd from 6pm to 10pm set in our beautiful indoor arena. 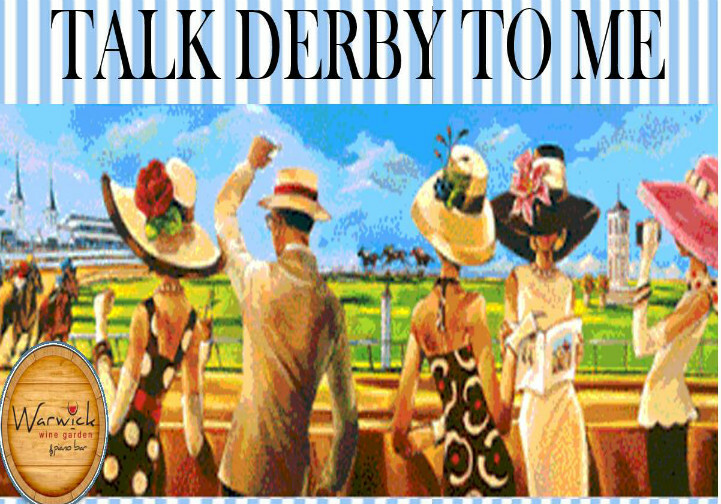 Attire is casual but chic and tickets are only $75. 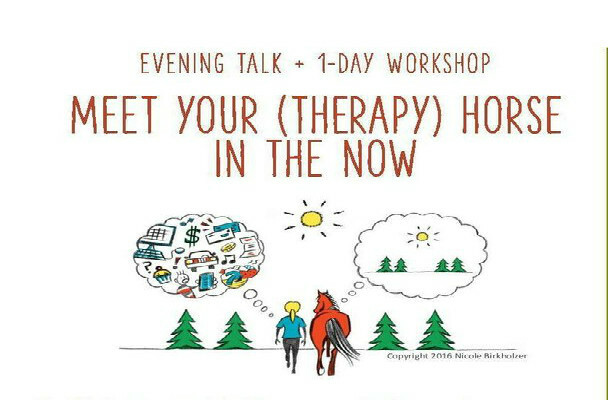 Join us for an amazing look at how you can foster a better relationship with your horse. 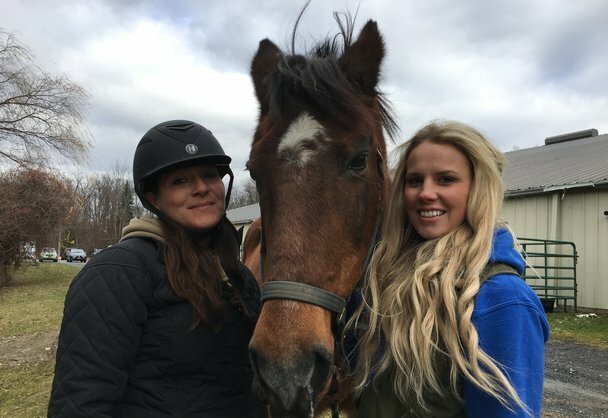 This evening talk and 1 day workshop with equine advocate and animal communicator Nicole Birkholzer is perfect for anyone who has a love of horses and a desire to better communicate with them.  At Winslow Therapeutic Riding Center, our community of volunteers range from retired folks to teen agers, from “horse people” to people with no horse experience. 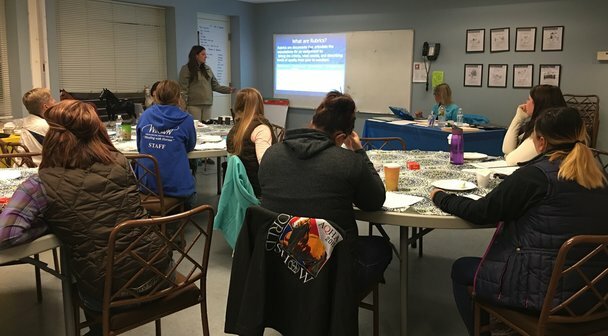 What they do have in common is a heart to get involved and share their time and devotion to better the lives of people who are challenged with disabilities. 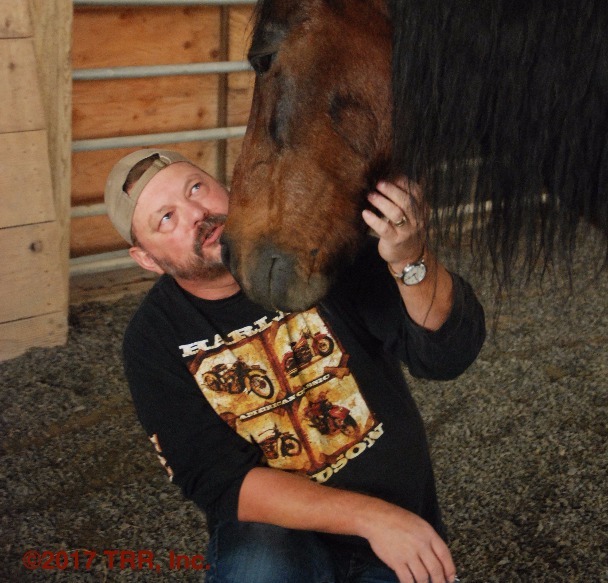 Yesterday our sweet Tara went to her retirement home as a companion horse. 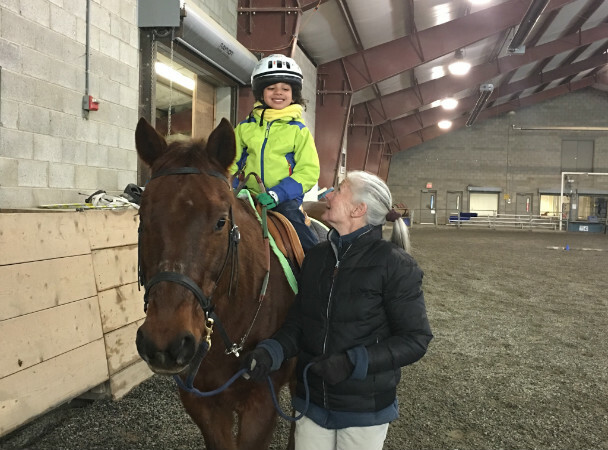 Tara has been an exceptional therapy horse at Winslow for more than 10 years and has given countless hours of service to our riders. She will be missed! This past weekend Winslow was thrilled to welcome our new mare, The Dance, to our herd. 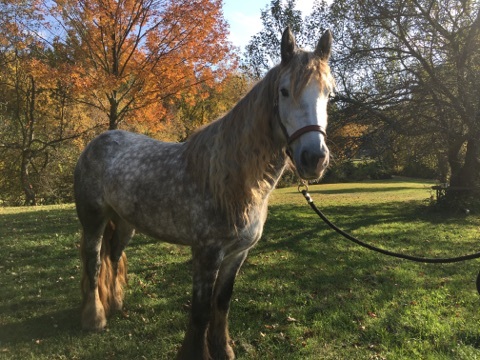 The Dance is a 4 year old Gypsy Vanner that Winslow won in a Facebook contest by logging the 2nd most likes over a 2 month period on The LexLin Gypsy Vanner website.